As I stated in my post from last week, we’re headed into a lull period as far as having guests at the villa. Right now, we have a 1-weeker booked in April and May each. Then, June and July are unusually heavily booked, including a wedding and party on the premises in June – expecting around 200 folks. That should be fun. So we’re using these open weeks to do a little spring cleaning, sprucing up, general preventive maintenance, and basic villa TLC. These projects include (but not limited to) pressure washing all the patios and decks like we did last September, painting and touching up the patio walls, replacing worn or torn sliding screen door screens, fixing broken slats in louvered window and door shades, painting wooden porch rails, doing a major cleaning of the propane BBQ grill, and fixing various little items that were broken by guests … to name a few. 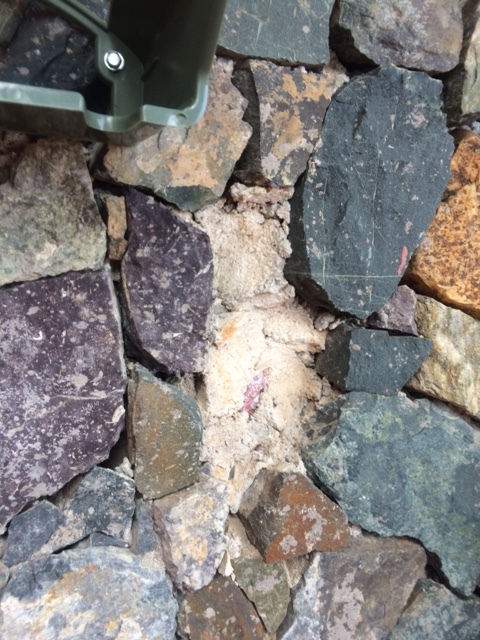 One item that was no one’s fault was replacing several stones that fell out of a rock-faced wall near where we store the chaise lounge cushions just inside the giant doors to the pool area. Who knows why they fell out … maybe from one of the many small earthquakes that occur here on a fairly regular basis. Usually in the 2.5 to 4.0 range. Depending on where they occur in the ocean, you will feel them sometimes. 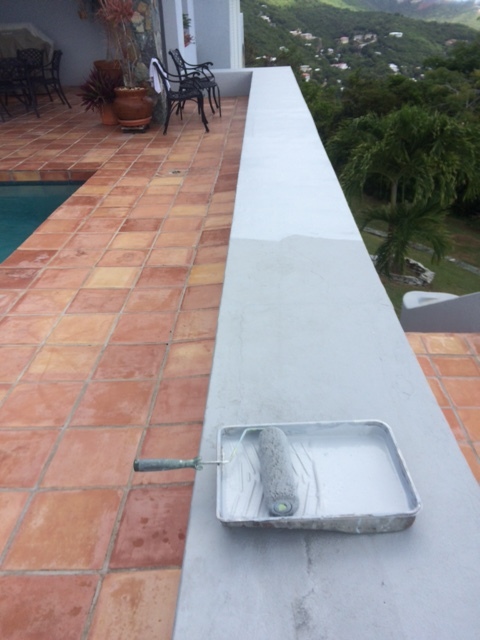 Our owners are coming in for a couple of weeks the first part of April (much needed break from their other business in New Orleans) and they have scheduled to have our pool completely resurfaced while they are here. It has been 10 years since it was last done so it is due. So, we’ll have a bright, clean and sparkling, like-new pool in a few weeks. I plan to document the project so stayed tuned. This entry was posted in Caretaker in the Virgin Islands, Couples Jobs, Project Lists, Property Caretakers, Silk Cotton Villa, St Thomas Virgin Islands, Villa in St. Thomas USVI on March 25, 2015 by Richard Arnold.